Having qualified fastest, 2009 team pursuit world champion Rowsell had a nigh-identical ride in the final, finishing in 3.30-474 for the fastest time ever seen in this discipline at the national track championships. “I’m really pleased with that. 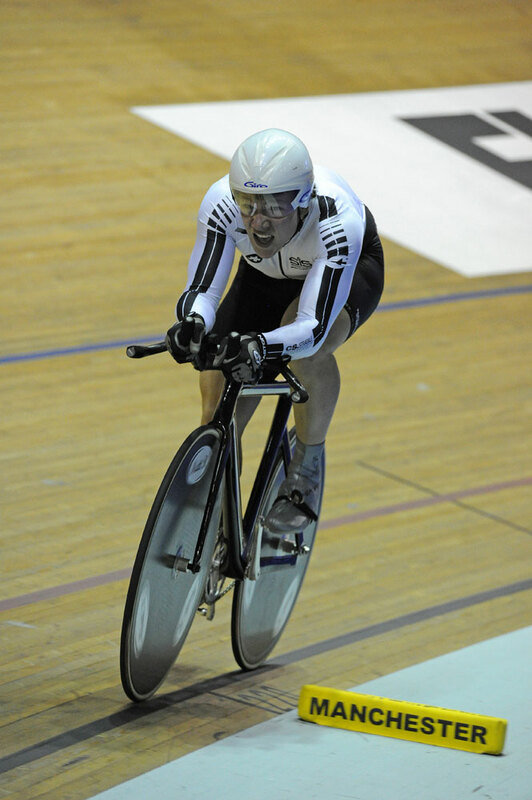 I wanted to do a PB, but I hadn’t ridden an individual pursuit for two and a half years. I had no idea what sort of time to expect,” Rowsell said. “I thought I could back up well – at the Olympics, we’ll have three rides, so I do a lot of training for that,” she added. champions, showing Britain’s impressive depth of ability in this area. Rebecca Romero was a notable absentee. Given the intense internal competition for places, this results bodes well for Rowsell’s selection chances at the forthcoming European track championships in Apeldoorn. Defending national champion Wendy Houvenaghel had to settle for bronze ahead of Sarah Storey. 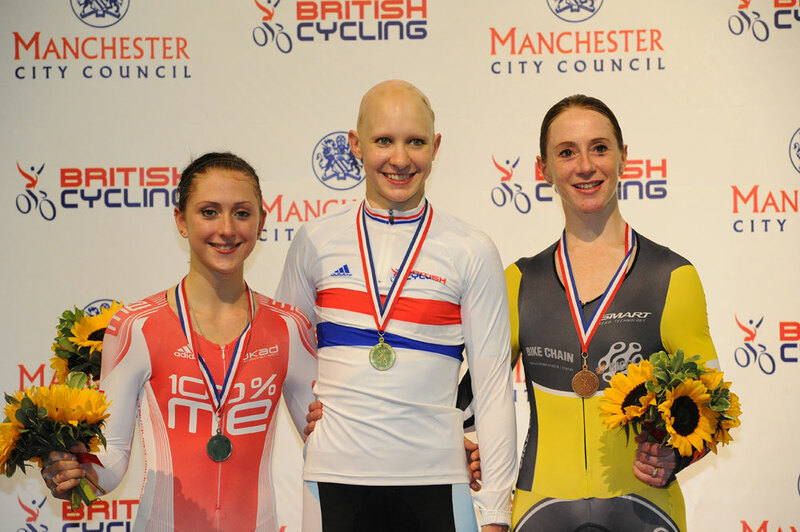 But that was no hardship for Storey, who set a new world record in the Paralympic C5 category with her time. 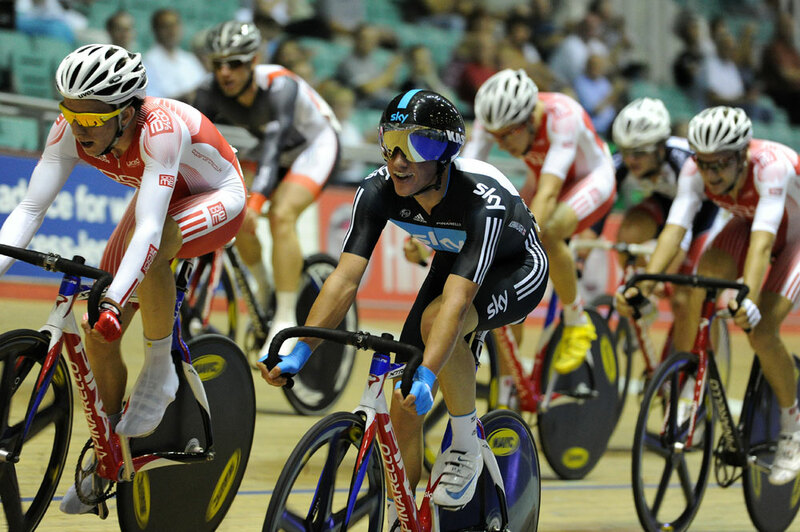 Pete Kennaugh (Team Sky) won the men’s 40km point race this evening, virtually leading from start to finish. Not bad for someone who earlier told CW he’d only been back on the track for two days. Alongside several Academy riders, he was one of eight riders to gain a lap on the rest of the field early on. From there, the Manx talent showed his strength, continuing to chip away with points. He added to his tally at virtually every sprint. In the final half of the race, Kennaugh slipped away with Academy riders Jon Mould, Mark Christian and Simon Yates to steal another lap and safeguard the win. From junior national champ to senior success in one leap. 16-year-old Matt Rotherham (Scienceinsport.com) surprised his more established rivals to win the men’s kilo, beating Olympic hopefuls Steven Burke and Sam Harrison. Rotherham clocked 1-03.671 to smash the PB that had gained him that junior crown five weeks ago by a second. “I didn’t expect this – I knew I’d gone well at the juniors, I thought I’d just see what my form’s like. To turn it into the senior title is great,” he told Cycling Weekly. 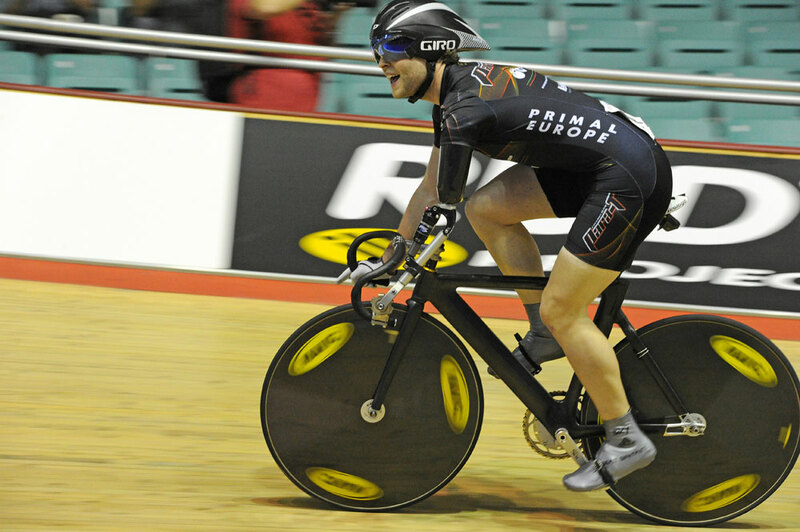 Jon-Allan Butterworth made it two national titles and two world records in two days, as he blazed to victory in the Paracycling 200m flying start two time-trial with the first ever sub-11 second mark. Junior runners-up Sophie Thornhill and Jessica Anderson also slashed the existing world standard.